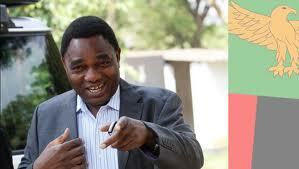 President Michal Sata has described as useless a letter written to him by UPND leader Hakainde Hichilema dated 27th December, 2011 regarding the opposition leader’s Kabulonga house. In his letter of reply to the UPND leader dated 11th January,2012 obtained by QFM,President Sata in acknowledging receipt says he expected more meaningful correspondence from leaders of political parties which will assist solving the problems facing the country. Sata then decided to talk about Hichilema’s political history instead of the issue of the house. President Sata said it is unfortunate, when people that have never been cadres, just ascend to the top of a political party from nowhere, they do not understand the problems facing the country apart from problems facing their pockets. In his letter to the President, Mr Hichilema observed that President Sata’s habit of abusing,demeaning,ridiculing and wrongly accusing innocent and defenceless citizens had worsened. He said that President Sata during a visit to Mazabuka in November 2011 made wild allegations about him including allegations that he wrongly acquired the house he is occupying in Lusaka’s Kabulonga area. Hichilema explained that he was not a liquidator of Lima Bank contrary to the President’s insinuations, and that the house in question never belonged to Lima Bank. He stated that the law should take its course should it be established that he wrongly acquired his house. But Sata said the above explanations are useless.